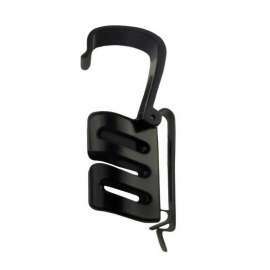 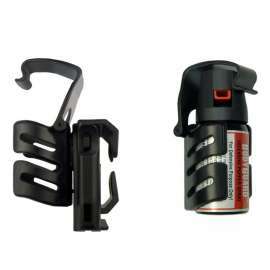 Universal Swivelling holder SHU-44 for defensive pepper sprays with vessel diameter 35 to 38mm. 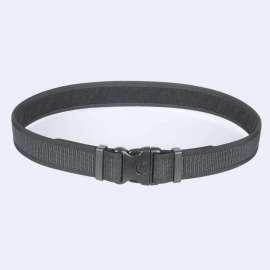 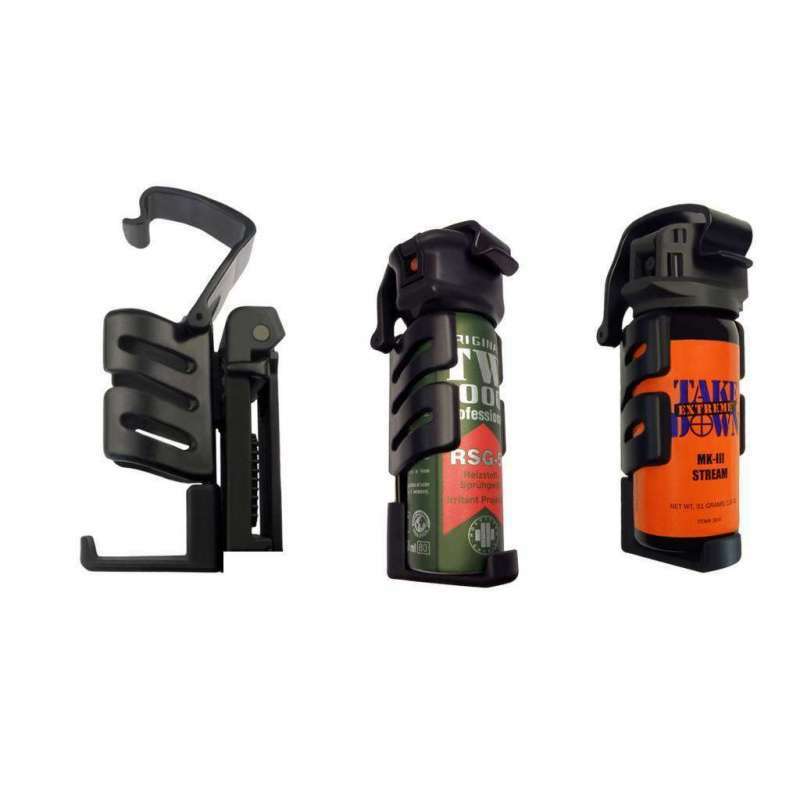 It allows secure and firm fixation to a MOLLE MIL STD webbing with possibility of 360° rotation and fixing in 16 angled positions. 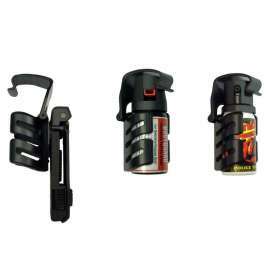 Steady fixation and safety lock preventing accidental release of the spray. SHU-44: Universal Swivelling Holder has been designed for professional use of Defensive Pepper Spray. 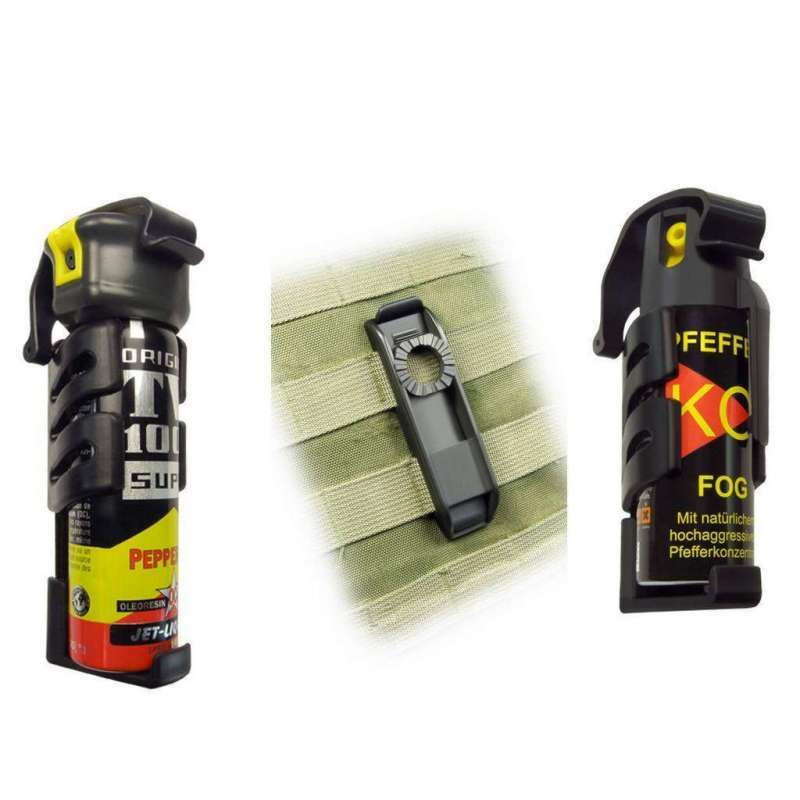 It enables very fast draw of the spray sideways from the holder.It contains moreover a safety catch, which holds the spray head firmly in the holder. 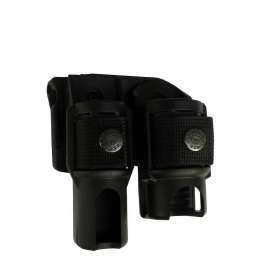 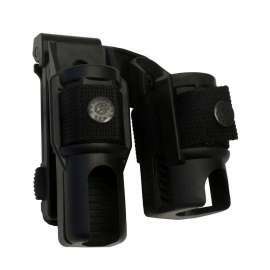 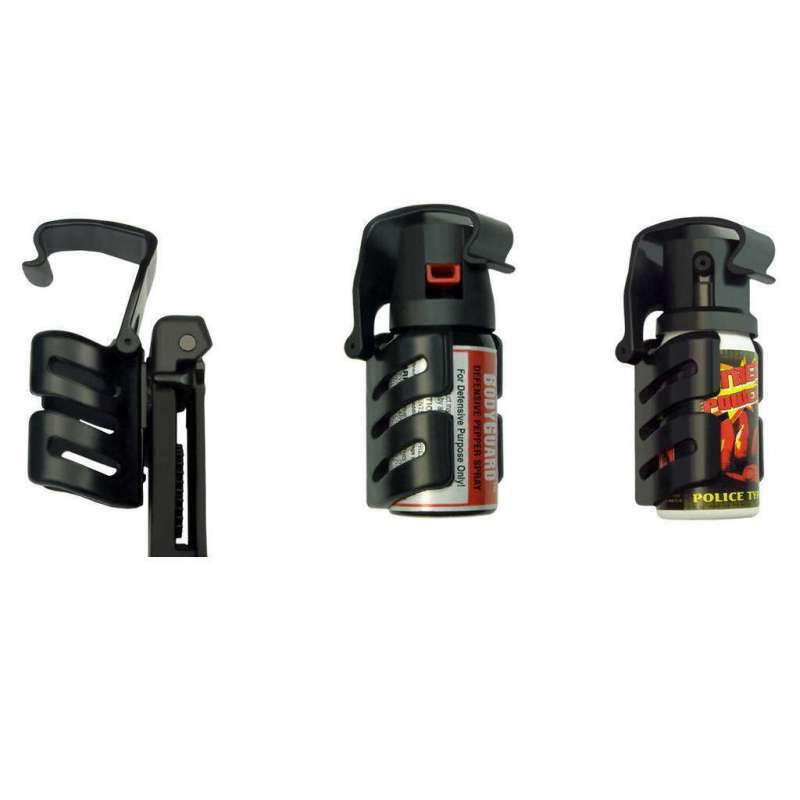 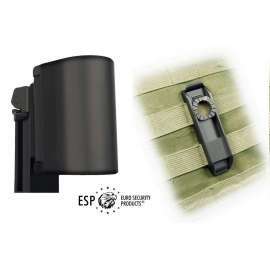 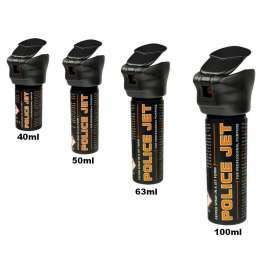 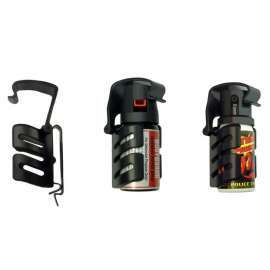 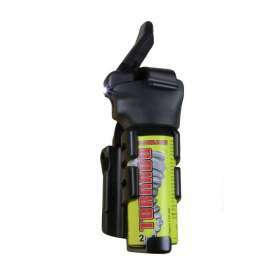 - SHU-44-40: Adjustable holder for Defensive Pepper Spray with capacity of 40ml to 45ml. 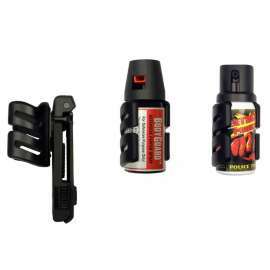 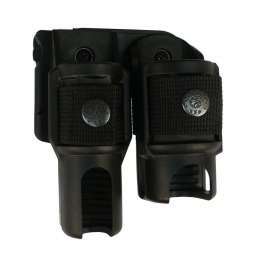 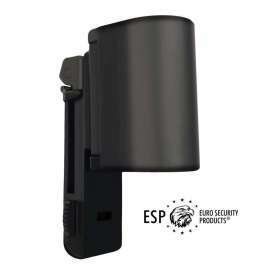 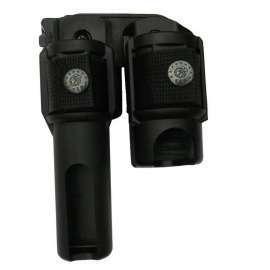 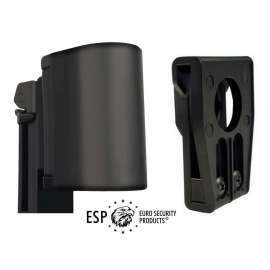 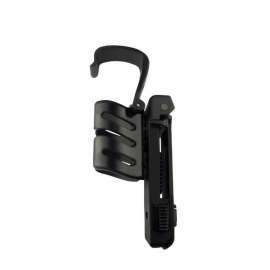 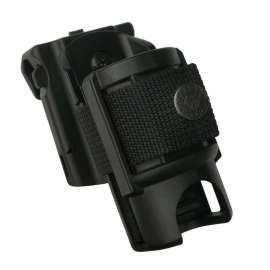 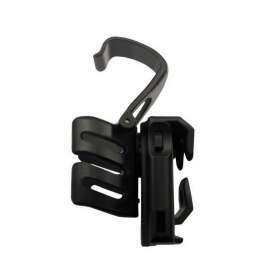 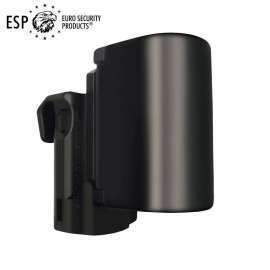 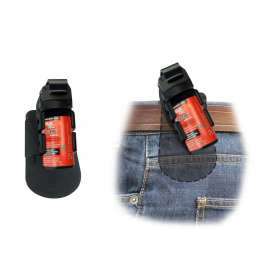 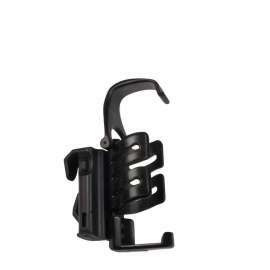 - SHU-44-50: Adjustable holder for Defensive Pepper Spray with capacity of 50ml to 63ml. 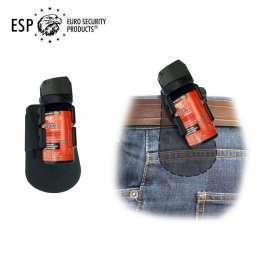 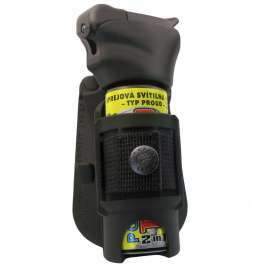 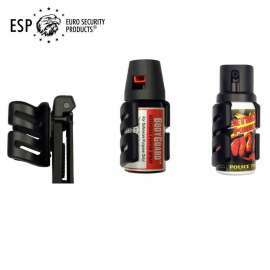 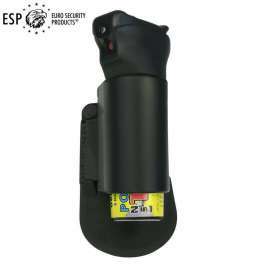 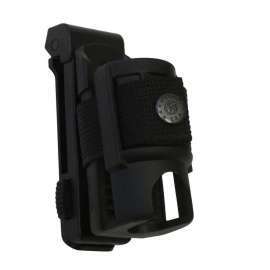 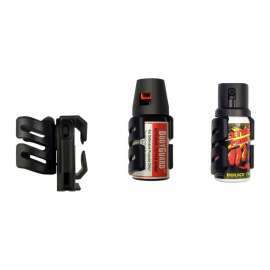 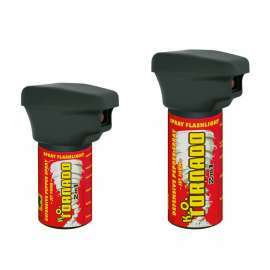 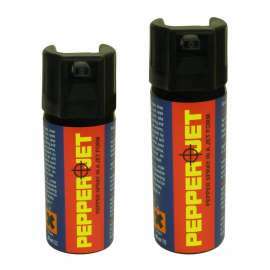 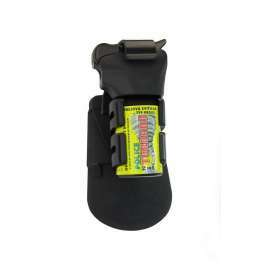 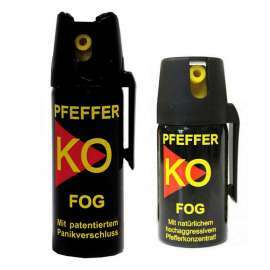 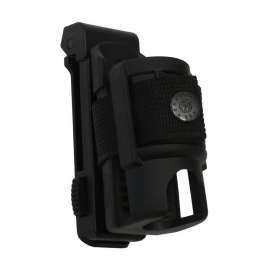 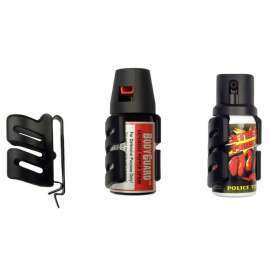 - SHU-44-75: Adjustable holder for Defensive Pepper Spray with capacity of 75ml to 100ml.